In recent months, for no specific reason I’ve found myself reading stories about mothers. One is the brilliant Canción de Tumba (something like Song of Tomb, a game of words in Spanish where a ‘canción de cuna’ is a lullaby and when changing 2 letters sound like tomb… got it?). 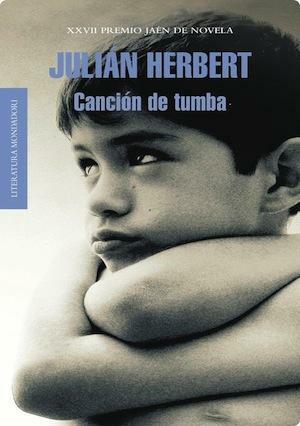 Anyways, in this book the author, Julian Hebert, narrates the story of his life with his mother, a prostitute, who is dying of leukaemia. If there are any publishers looking to translate an absolute jewel of Mexican contemporary literature, please look no further. The second title is Mother Departs by Tadeusz Rózewicz, Poland’s most celebrated writer and poet. Rózewicz has been nominated for the Nobel Prize and it’s one of those authors I am so glad to have discovered. Mother Departs can be described as the portrait of a life. A truly moving read in which Rózewicz mixes diary entries, notes and poems. The book is wrapped in an atmosphere full nostalgia as it becomes a celebration of the life of: Stefania Rózewicz, his mother. I found particularly interesting the fact that Stefania herself has a voice in the book as she narrates her life as a child in the village of Szynkielew. This is a testimony of a world and a way of life long gone. Here she talks about traditions, culture and everyday life in rural Poland in the early twentieth century. Witty and observant, Stefania’s contribution to this book is one that certainly stands out. They say no one is ever prepared for the death of their mother. I just hope I have many years ahead to enjoy the company of mine, a lady who is, and will always be, an extraordinary woman. 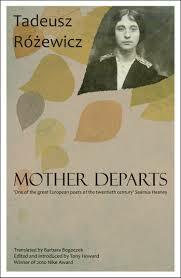 Mother Departs is published in the UK by Stork Press and translated from Polish by Barbara Bogoczek.